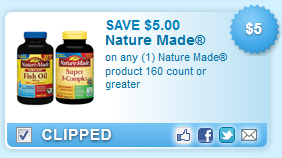 This is a really great coupon - combine it with a sale and save even more! Found under zip code 30303, 1st page of Health Care category. You can usually print each coupon twice per computer! Print quickly - they may go fast!